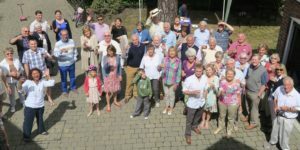 The residents of Hackett Lane in Pyrford recently organised their annual street party, with about 65 friends and neighbours joining in the fun. Two of the houses being built as part of the new Oakfield development, are accessed from Hacketts Lane, so the new owners can look forward to joining a very friendly and supportive community. The party got off to a soggy start when the rain arrived, but with gazebos for shelter, superb food and drink (plus some extra wine and prosecco from Forays to help things along! ), it was a very relaxed and enjoyable afternoon. The lane was closed ensuring a safe environment for the children to play – and the sun shone eventually! 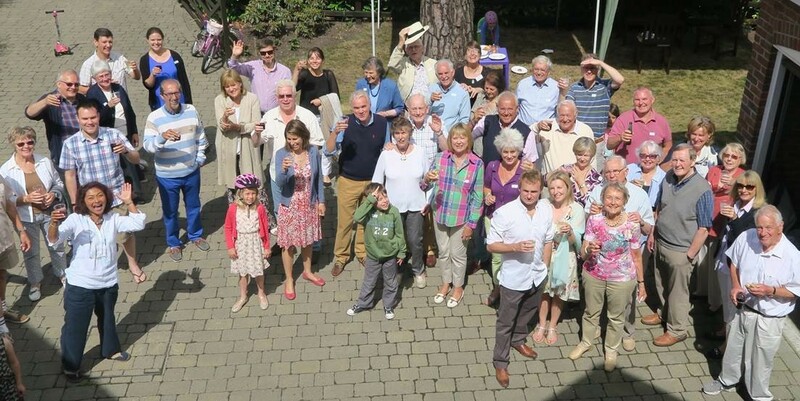 The chairman of the resident’s association echoed the feelings of the Forays team – this is a very special place to live in Surrey.